Tipi Temple is up and sailing! 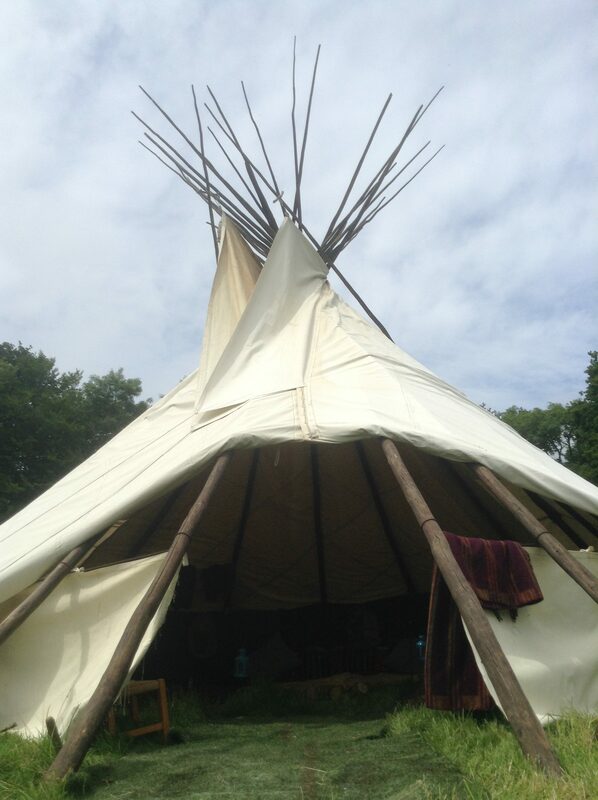 Our Tipi Temple Earth Ship has set sail in a beautiful field in Devon! For the next 5 weeks we look forward to welcoming friends old and new, as we open the door to the world of shamanic wisdom and healing. Come and join us for the Medicine Wheel Shamanic Trance Dance Visionary Journey! Enjoy tribal dancing on the Earth, Heart warming sacred Fire, sharing good food, stories and laughter! Deepen your connection with the 7 sacred directions, and the matrix of life. Experience your own inner wisdom, and magic. Previous participants have reported benefits of clarity, insight, inner peace, feeling more balanced and in tune with themselves, de stressed, empowered, and greater self esteem. Wow, Tipi Temple looks amazing, So Happy you both back in DEVON, have followed all your adventures in Portugal & Spain., including your wonderful , UNIQUE MARRIAGE ceremony, on a mountain in SPAIN…. Many Congratulations, blessing to you both, ENJOY DEVON, I look forward to attending your Southleigh workshop 31st JULY ! I’m going to share shamanictrancedance.co.uk on my facebook because my friends have to read it too.